As a single movie, Justice League manages to keep a brisk pace and a single focus. The film sees the return of Zack Snyder to his DC Extended Universe, continuing the story he began in 2013's Man of Steel and exacerbated with 2016's Batman V. Superman: Dawn of Justice. 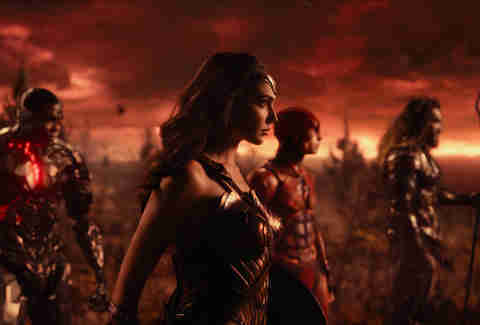 In Justice League, Batman (Ben Affleck) and Wonder Woman (Gal Godot) have to gather three previously-seen-in-mp4-video metahumans (Jason Mamoa's Aquaman, Ezra Miller's Flash, and Ray Fisher's Cyborg) to form the Justice League, and save the world from Steppenwolf (Computer/Ciaran Hinds), who wants to use the power of the alien Mother Boxes to turn Earth into a living Hell. As of the publication of this piece, reviews aren't kind; the movie currently commands a 40% on Rotten Tomatoes, a number that puts it above Batman v Superman's 27%, but still in the "rotten" category. But in one way -- one essential way -- the movie is a success. As comic book mega-property, the DCEU has always felt reactive. Unlike Marvel's decade-long plan of interconnected movies, where consistency is the prioritized perk, DC's universe-building (overseen by Warner Bros. Pictures) seems to evaluate each installment based on fan and critical response. If something needs to be "fixed," as many trade reports have detailed over the years, creatives swoop in to do what they can before the next release date. Llike a slow-moving tanker evading an incoming calamity, they do what they can. The one good thing about Justice League: the shift is totally successful, with the powers that be pivoting the DCEU out of grimdark, deconstructionist misery. Bluntly put: the movie is fun. Immediately after Man of Steel hit theaters, critical voices were quick to question the devastation brought upon Metropolis during Superman's climactic battle with Zod, where thousands of people were theoretically killed before, and in the end -- spoiler-from-2013 alert -- our noble hero snaps the villain's neck. As a response, Batman V. Superman spent its opening minutes reframing that destructive sequence from the perspective of a horrified Bruce Wayne trying to protect civilians on the ground. But in the end, Snyder only went deeper into the morose with his sequel, showing how two warriors for truth and justice could be easily corrupted by their worst instincts. Just when you think Wonder Woman can swoop in to save the day (and movie), Dawn of Justice kills off Superman. 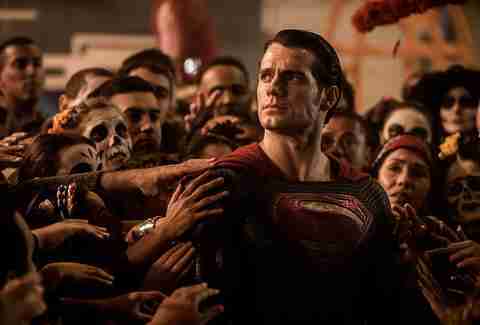 Snyder's thematic instincts weren't wrong, but a relentlessness soured his follow-up. Perhaps that's why Justice League begins with cell phone video of a smiling Superman reaching out to his adoring fans and ends with Lois Lane writing an article about heroes who represent a kind of hope we all take for granted. Anyone keeping fingers on the pulse of the DCEU might read the latter as a meta monologue delivered to a creative team that kept cutting the Batman v Superman theatrical release, the ones who re-edited Suicide Squad to be "funnier," the ones who feared Wonder Woman might bomb before its release. The audience has been speaking clearly for a long time: we'd like Superman to stop being so grim, please and thank you. It took four years, but here we are. In Justice League, Superman smiles. The movie itself is a patchwork mess. After Zack Snyder stepped down in the wake of a personal family tragedy, Joss Whedon took over and delivered a movie that is not the conclusion to Batman v Superman. You can feel the movie trudging through the remains of an actual Dawn of Justice sequel to a lighter, high-flying space: the villain, Steppenwolf, is a non-entity; Cyborg isn't so much a character as he is a plot device to crack the Mother Box code; The Flash's jokes are faster than his legs, reminiscent of Spider-Man in Captain America: Civil War; and Superman's revival feels like another Marvel-ish, echoing how The Vision came to be in Avengers: Age of Ultron. That's not to say Justice League is a Marvel movie, but that this hybrid effort assembled the correct superhero blockbuster moments that promised we'd never again see a Batman movie where Lex Luthor pees in a jar to threaten the government. Superman is cool again, and for the first time since 2013, he's not doubting himself and his place on the planet. When he's reborn as a rabid shade of his former self, his battle with the League serves up the film's best moments. It's an action sequence where we finally care about all sides of the conflict. Later, when Superman shows up to the face-off with Steppenwolf, he doesn't kill anyone, but flies off to save civilians. It's arguable that not a single person dies on Superman's watch; the movie has been almost entirely purged of crowds and reaction shots beyond those of our heroes (save one unnamed Russian family who is spotlit to be saved) to make this happen, but that was a sacrifice the movie chose to make in order for Cyborg's uncontrollable arm laser to fire aimlessly and not injure a soul, and ensure that in the end, we'd get a smiling Superman. Justice League will end up being "rated." Some will overrate it because they are thrilled it's not a total mess, and because the prospect of more of the DCEU falling in line with the tone of Wonder Woman and Justice League is genuinely exciting. Some will underrate it because the switch in directors means we'll never know how much of this pivot in tone was "Zack's original movie" and how much Whedon and Warner Bros made the puzzle pieces fit. Justice League is a movie for the fans of the characters, which means it can be bad as long as it doesn't betray those characters. Like Thor: Ragnarok earlier this month, it chooses to do that by shedding the preconceived notions of what a movie with these heroes should be. It took Marvel seventeen movies to get there. 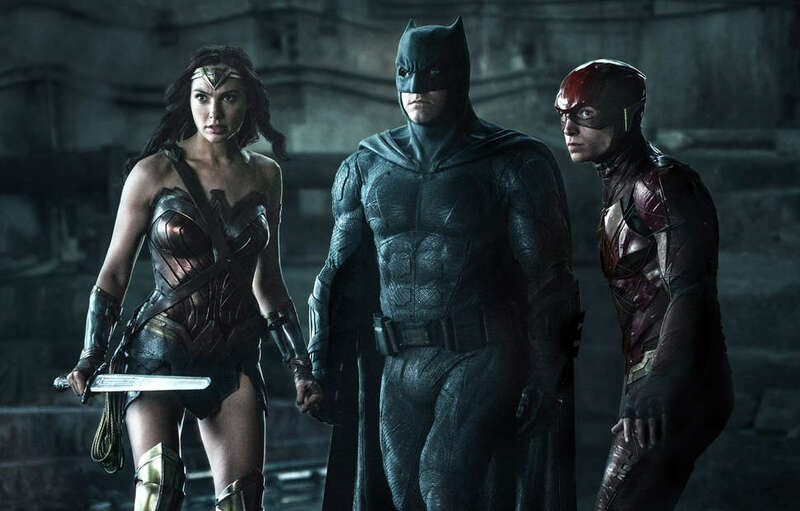 Justice League proves DCEU got the message in five.